I think this is a quote from Gary Bergl, 30 Ways to Pray for All in Authority, 2002, first published by Intercessors for America, wwwifapray.org. Reprinted with permission. It’s a list of prayers I received in the mail within the last week from a pastor we know, I think. Or is it from the denomination we serve under? Anyway, I blogged about getting online to find this quote and days later as I made a sandwich for supper, I noted a folded piece of paper standing upright with a picture of a man bowed over his hands folded in prayer. There’s a red stop sign symbol with the above quote written on it. I thought, here it is in plain sight and what else have I been missing that’s right in front of me? We went to our friend’s funeral service yesterday and I knew him better than I knew his wife because we both served on the worship team at church. Occasionally she’d invite me somewhere and once in a while I’d go, and she’s a very gracious person. She’s quiet so I wasn’t sure if she liked me all that much, and isn’t that silly because she’s always been very nice to me. Yesterday at the funeral, I told the crowd that I loved that man, in a brotherly way. I sang a song he wrote with two others from the worship team and later, I sang the song she really wanted me to sing with one guy accompanying me. 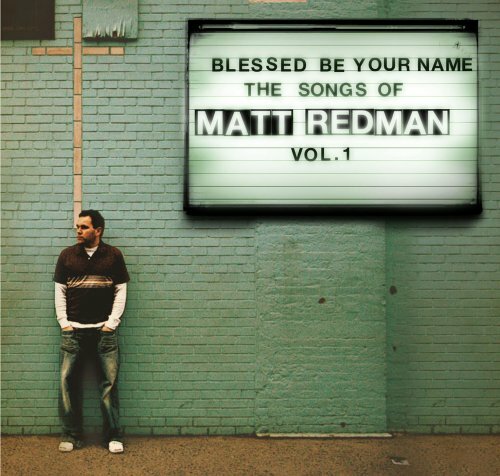 The first words of the song are, “Blessed be Your name in a land that is plentiful…” by Matt Redman, which adds “Blessed be Your name on a road marked with suffering…” in later stanzas. His song won the Dove Award in 2005. I rode back to church from the cemetery with another friend and she had given me a compliment. I felt those words deep in my innermost being. Lately, for whatever reason, I’ve been aware of the number of times I put myself down. I think God wants me to listen to what I’m saying and to cut it out. When I hear others put themselves down, I remind them that they are a child of the King. What makes those of us that do such things not give ourselves the grace we so freely give others? So, even though I cried at the funeral a little, I got to meet some of his and her family, and as people recommended we cherish our family and friends, I left built up. We got reminded that this is not our home and that God loves us and He knows what he’s doing. I hope you’re able to read the Word and pray as you prepare for any celebrations of Christmas or holidays you may participate in. I was chilling along until a couple of U-turns came my way. So, I’ve done my best to cast my cares upon God, as it says to do in 1Peter_5:7, (KJV): Casting all your care upon him; for he careth for you.